Elijah Doughty was just 14 when he was run over and killed last year. 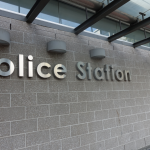 His crime, according to the man that hit him, was hearsay evidence the teen may have stolen his motorbike – although there’s no proof this happened. The incident sparked riots in Kalgoorlie, where it occurred. But the sentencing of the driver, who escaped manslaughter charges last week, has sparked outrage across Australia. As Chris Graham has written in New Matilda, the outrage isn’t just about Doughty, but the “lengthy catalogue of [Indigenous] deaths spanning decades – and longer. Deaths which clearly have had little to no impact on a justice system that has always been stacked against them.” As Graham points out, while some of these deaths happened in circumstances like Doughty’s, the sad reality is that many deaths also occur in custody. 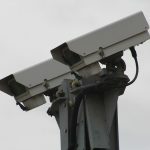 In the aftermath of Kalgoorlie, the National Justice Project, a not-for-profit human rights organisation, is attempting to crowdfund $60,000 to implement a program they’re calling ‘CopWatch’. The aim of the program is to equip Indigenous communities with camera phones and training, in order to better document cases of discrimination, violence and over-policing. Sydney Criminal Lawyers® spoke with George Newhouse, Principal of the National Justice Project, about the initiative earlier this week. What inspired the National Justice Project to launch CopWatch? 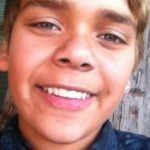 The tragic case of Elijah Doughty in Kalgoorlie was the driving force that led to the creation of the ‘CopWatch’ program. Immediately after Elijah’s death we received requests for help from Aboriginal community members in Kalgoorlie. The elders were dismayed that rocks and violence had been used by younger men to vent their frustration at the endemic racism in the town. They asked for assistance to give community members the ability to empower themselves. The CopWatch program offered the use of video and social media as an alternative to anti-social behaviour. Other communities that have contacted us are extremely scared of being identified, because they fear a backlash from local authorities, but I can tell you that we’re looking at rolling out CopWatch to communities in Far North Queensland, the Northern Territory, Western Australia, and New South Wales. We’re hoping that CopWatch will also lead to better policing, better community-police relationships, and less Indigenous Australians in custody. Now we’re not suggesting that this is the silver bullet, or that it’s the answer to high Indigenous incarceration rates, but it’s one tool to help to manage over-policing and abuse of power. Copwatch is also called Community Accountability Training and the key word is “accountability”. Why do you think CopWatch is going to be effective in that sense? We live in an age where our leaders talk about fake news, and sadly many Australians don’t believe the injustices that are going on in our country until they see images of it. Take the case of Dylan Voller and the spit hoods, cable ties and violence we saw at Don Dale. Only after those horrific images surfaced publicly did the Prime Minister call a Royal Commission to investigate the horrendous treatment of children in Don Dale youth detention centre. Even the police acknowledge that the community and police officers all behave better when they’re being filmed. What success has the National Justice Project had with its other programs, such as Aboriginal Health Justice and the Aboriginal Innocence Project? I suppose one of the things that makes us different from other human rights law firms is that we aren’t limited to advocating in courts or tribunals. One of our roles is reach out to train and empower local communities to enable them to find their own voice. We are doing just that with CopWatch. The Aboriginal Health Justice Project is another programme where we are working, with Aboriginal organisations and communities, to empower individuals who have been harmed in the health system to make complaints or seek compensation. It is early days but I will say this about the Aboriginal Health Justice Project, we’re very proud to say that we pulled together peak Aboriginal health and Aboriginal professional medical bodies to address racism in healthcare once and for all. We haven’t actually rolled out the program yet, but getting all the peak Indigenous health organisations together to address racism in health has been a great success and I think you’re going to hear more about it in the coming months. 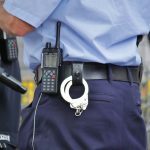 If anything, the latest BOCSAR statistics in New South Wales have shown that over-policing of Indigenous communities is getting worse, not better, what other reforms do you think are needed in this space? High indigenous incarceration rates are a reflection of Government policies that criminalise poverty and social dislocation. Any attempts to address high Indigenous incarceration rates needs to start at birth. The resources of the state need to be diverted from punishment and imprisonment and to supporting Aboriginal families stay together wherever appropriate. An intensive effort, including a financial commitment, at that early stage could see lower incarceration rates some time in the future.